This was a super easy salad that I would definitely make again. Chop salad ingredients, mix dressing and there you go! Easy. I would suggest letting the salad sit with the dressing for an hour maybe sprinkling on the goat cheese and serving. Also…let the pecans cool before you toss them into the salad. 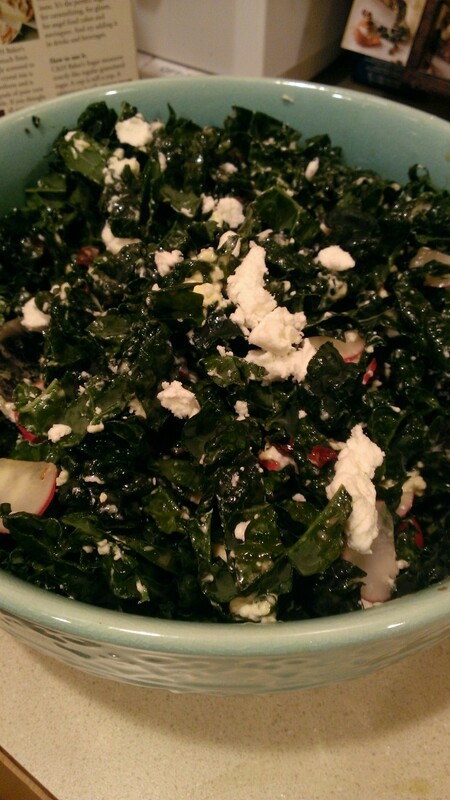 This entry was posted in Salad and tagged kale, salad, Smitten Kitchen. Bookmark the permalink.